While the developing world is projected to urbanise rapidly during the next 40 years, canonical social and architectural/urban theory positions western modernisation as an ideal model for development. Yet modernity in the developing world is complex and operates at a wide range of physical and temporal scales; it resists the total homogenising processes of ‘western’ modernisation even as it absorbs them into its development patterns and spatial practices. This provides an opportunity to rethink normative architectural and urban design practices, to pursue new forms of expanded critical practices capable of engaging developing world cities intelligently and productively. In order to theorise such practices, this article investigates developing world modernity, redefines traditional notions of ‘site’, ’criticality’ and ‘context’ through an anthropological theory of locality, and challenges post-criticality as a viable response to the complexity of global economic, political, and environmental crisis. With the global population growing by about 7 billion by 2050—95 % of which will live in the developing world—architects and urban designers must strategise new ways to address the rapidly changing socio-cultural, economic, environmental, political, technological, and aesthetic contexts that inform both the terms and territories of practice. Much like previous waves of modernity, the unrelenting growth of the developing world sets the ground to rethink normative modes of practice and provides opportunities to engage new forms of expanded critical practices framed by unprecedented changes in the physical and non-physical systems that structure and (in/de)form the city. The emerging urbanisms of the developing world—simultaneously set within and positioned against an emerging hybrid modernity—will push architecture and urban design to new intellectual, disciplinary, and professional limits. Within the (frame/net)work of a hybrid modernity is an inherent tension between top-down and bottom-up processes of modernisation. The established canons of western social theory assume that any process of modernisation hinges on assimilating western ideals; a homogeneous process of rationalisation and industrialisation centred in the west (particularly the U.S) that radiates outward to “other” parts of the world. This singular view of modernity, however, negates the complex socio-cultural and spatial particularities of the developing world and absorbs them into a universal system of western development. In reality, modernity in the developing world is a synergetic condition that challenges territorial boundaries and operates at a wide range of scales; a complex negotiation between established local traditions and imposed ideological programmes within a fluid and globalised world. These negotiations, in turn, produce multiple grounded yet transformed modernities that simultaneously absorb and critically resist the patterns and practices of the developed world, particularly the social, economic, and ecological inequalities triggered by conventional free-market capitalism. Contemporary architects and urban designers operating in these expanded territories must establish flexible ecological frameworks for synthesising, conceptualising, and spatialising these multiple hybrid modernities. This article positions the modernity of the developing world as a hybrid, synergetic construct operating in tension between local practices and global flows, redefines traditional notions of “site,” “criticality,” and “context” through an anthropological theory of locality grounded in slum dynamics, and challenges post-criticality as a viable response to the complexity of global economic, political, and environmental crisis. In doing so, it argues for expanded critical practices that strategically yet critically engage the city’s multiple physical and temporal scales and theorises how such practices might engage the complexity of developing world cities intelligently and productively. WE MUST BUILD ON A CLEAR SITE. The city of today is dying because it is not constructed geometrically. To build on a clear site is to replace the “accidental” layout of the ground, the only one that exists today, by the formal layout. Otherwise, nothing can save us. And the consequence of geometrical plans is Repetition and Mass-production (Taylor, 2001). Hence Modernist architects and urban planners sought homogeneity by imposing a physical and spatial order that would “rationalise” all aspects of life. An organisational tool for rationalisation, the unidirectional Cartesian grid came to symbolise universal order and dominance. Modernity is solid in the sense that the combined power of these interlocking institutions overwhelms any individual effort to keep tradition in place, and makes ‘Western expansion seemingly irresistible’. However, he construed the reflexive process inherent in modernity to have a ‘softening’ effect on institutional structures. Thus, new knowledge generated by modernity can be applied reflexively to undermine its apparent solidity (Lee, 2005). Operating reflexively, modernity’s top-down project produced opportunities for bottom-up resistance and transformation grounded in the contradictions between its own ideo-political programme and established practices on the ground. In other words, bound by the very socio-cultural systems it attempts to idealise, modernity transforms from within in response to an internal critique of itself. While this internal critique took a postmodern turn between the 1960s-1990s, postmodernism’s anti-foundational project reduced the social to a system of differences divorced from the ideologies and institutions set in place by modernity. Hence despite intense critical resistance, postmodernism failed to foster collective agency for long-term institutional change. In the 21st century, however, globalisation has radically complicated the construction, meaning, and diffusion of modernity as the hard dialectical other of the traditional (or of non-modernity). According to social theorist Zygmunt Bauman, today’s world denies the solidity that the modern project fought to establish. In a world of global markets, ubiquitous computing, endless access to information, and mass migration, the world has liquefied into a fluid, mutating, and borderless space that promotes an all-permeating “ethic of consumerism” (Lee, 2005). Symptomatic of a global liquid modernity, this “ethic” reinforces capitalism’s stronghold--that is, its global ideological, political, and economic supremacy--by permeating and consuming the site specificities of material production. Deeply rooted in colonial development practices, the global market triggers production and consumption practices that exploit both the natural and human resources of the developing world in order to sustain a capitalist ambition for limitless economic growth. As implied by its etymology, the term “resource” (in Latin ‘sugere’) implies continual regeneration. Evoking the image of a spring, resources rise up upon consumption as long as natural ecosystems remain intact. For centuries, pre-modern societies evolved in reciprocity to nature. Small, diverse, and self-sufficient communities balanced their need for sustenance with the earth’s ecosystems. Nature was valued relative to its regenerative abilities and natural, agricultural, and social ecologies harmoniously intertwined. By the sixteenth century—and well into the nineteenth—colonialism had radically altered this synergistic relationship. Increasingly dependent on raw natural resources, cheap labour, and financial capital for its industrialising empire, Europe led a relentless crusade of privatisation, commodification, and homogenisation of “primitive” cultures. What were once local, diverse, and autonomous agricultural communities were now assimilated into an interconnected and hierarchical world market. Their landscapes were transformed into large single cash-crop producing mills and plantations. In the process, territorial boundaries were redrawn, traditional cultures were eradicated, and the earth was rapaciously exploited for profit. Typical of capitalist monopolies, the growing dependency on natural resources turned traditional societies into thriving labour markets. As Europe exploited these markets, human trade and slavery reconfigured the demographic texture of the “new world” (now known as the Third World) and hybrid cultures evolved in tension between oppressive colonial rule and local tradition. In short, the first world developed into a rich and powerful empire by first developing third world slaves “from their primitive, backward states of embeddedness in nature” (Shiva, 1998). Left beaten and bruised, the post-colonial developing world continued to serve a global market economy, using their human and natural resources to produce more goods for industrialising nations than for themselves despite severe poverty, hunger, and malnutrition--political resistance on both sides of centre notwithstanding. If the political Left’s resistance to the hierarchical and oppressive “world system” in the 1960s (via Dependency Theory, for example) failed in its revolutionary ambitions, the political Right failed equally in absorbing these countries into the system as equal players in the global economy in subsequent decades. A form of neo-colonialism, Structural Adjustment Programmes (SAPs) are a case in point. Since the 1970s, the International Monetary Fund (IMF) and the World Bank have imposed neoliberal agendas on developing countries through conditional loans designed to restructure (i.e. modernise) their economies toward the free-market. In order to “shock the system into compliance” (Ponting, 1991), SAP conditionalities handicap political and economic autonomy by reducing government spending, liberalising trade, devaluing currency, and extracting and privatising resources. As conventional capitalism runs its course, SAPs turn developing urban economies into “steady state suppliers of raw commodities to the world” (Ponting, 1991). Meanwhile, unable to sustain their local economies, developing world cities ferociously compete for international capital, often at the expense of social and environmental justice. The result has been a perverse loss of diversity, pollution, economic instability, inequality, mass migration, massive resource depletion, and the rapid urbanisation of poverty—“an inevitable recipe for the mass production of slums” (Davis, 2006). Figure 1: Developing world urbanisation prospects. Source: United Nations,World Population Prospects,The 2008 Revision Population Database. As a result of western rationalisation, globalisation, and neo-colonisation, the world is urbanising quickly into a planet of slums (Davis, 2006). According to the United Nations, over 7 billion people will live in developing world cities by 2050 as they leave the countryside searching for income and opportunity (United Nations, 2008). Sub-Saharan Africa and Southeast Asia will accommodate most of them followed by Latin America and the Caribbean, Oceania and, Eastern Europe (UN-HABITAT, 2003). Excluded socially and economically, these slum dwellers will engage informal “survival strategies” of living and working; “squatting” under the shadows of law in unhealthy densities, abject poverty, and deplorable spatial-physical conditions. Currently the largest producers of housing in the world, they will continue to trigger radically new urbanisms that challenge classic western conventions of American and European (sub)urbanism. 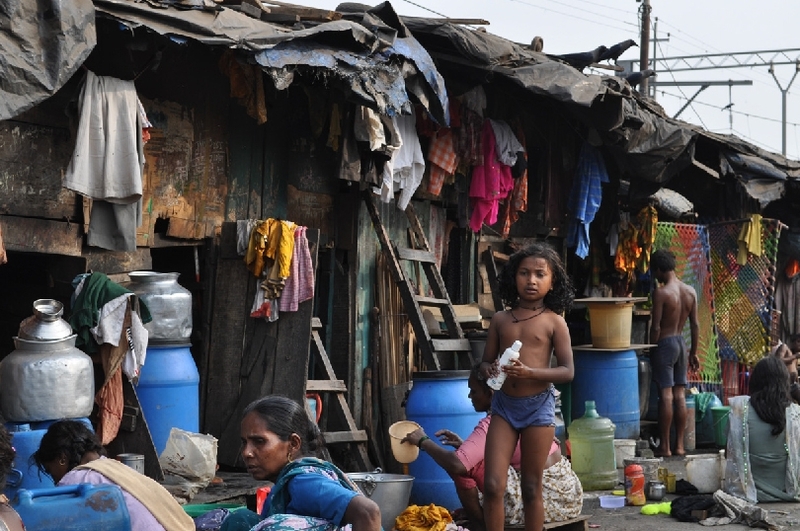 Figure 2: Mumbai Slum. Photograph by Travis M. Bunt, 2010. Resisting clear definition, slums are complex and multifaceted. The Challenge of Slums frames them as a product of oppressive political and economic forces materialised through rapid urbanisation and the urbanisation of poverty. While the former quantifies explosive population growth in the city, the latter qualifies their socio-cultural, economic, and physical/spatial conditions: a lack of basic services, substandard and/or illegal housing, extreme overcrowding, unsanitary living conditions, hazardous sites of development, social inequality and exclusion, insecure tenure, and minimum dwelling dimensions (UN-HABITAT, 2003). Their typologies range from classic inner-city tenements to hybrid rural-urban megaslums on the social and geographical fringe. Typology notwithstanding, slums operate at the interstitial and the peripheral—socially, physically, spatially, and/or geographically—and radically redefine traditional notions of site, context, and programme, As the influx of rural migrants sprawl into the urban periphery, urbanisation increasingly impacts rural settlements. Conversely, the infiltration of rural poverty into the city gives urban slums a “rural imprint that gives them their unique, lively character without the separations between home, work place, and recreation that is the hallmark of ‘modern’ and middle-class society” (UN-HABITAT, 2003). Both scenarios blur the rural-urban continuum by converging rural and urban patterns, practices, and identities. The urban edge is also the rural edge. Given their spatial and programmatic complexity, architects and urban designers must engage slums at multiple scales ranging from local socio-cultural, economic, and political traditions on the ground to the institutional systems that regulate global flows and policy. Often in conflict, this polarity opens up opportunities to (re)theorise the city and how we engage it through design. Figure 3: Static and kinetic urbanism in Mumbai. Photograph by Travis M. Bunt, 2010. Set within western bias, canonical architectural and urban theory fails to engage the emerging urbanisms of the developing world, positioning European and American cities as models for all cities. Yet developing world urbanism resists the structured, rational, and homogeneous control of a top-down singular modernity, characterised instead by conflicting political, socio-cultural, and economic identities. In other words, such cities are sites of critical negotiations between the urban elite and the subaltern in unfolding cultural and economic struggles. Rahul Mehrotra--architect, Harvard University urban design and planning professor, and Department of Urban Design and Planning chair--calls these two urbanites static and kinetic (Mehrotra, 2008). In “Negotiating the Static and Kinetic Cities: The Emergent Urbanism of Mumbai,” Mehrotra describes the urbanism of the static city as 2-dimensional (i.e. planned) and formal; that is, as one regulated by legality, permanence, and physicality. He contrasts the formal static city with the 3-dimensional (i.e. unplanned) informal kinetic city, whose ”pirate” urbanism inhabits the formal city’s interstitial spaces, slipping “under the laws of the city simply to survive, without any conscious attempt at constructing a counterculture” (Mehrotra, 2008). This kind of urbanism operates both within and against the modern grid of rationality, becoming a “city in motion” that “consumes, reinterprets, and recycles” (Mehrotra, 2008) its formal urban spaces. He sees Mumbai, India as a case in point. Viewed as such, “site” and “context” have distinct yet overlapping characteristics. In “Defining Urban Sites,” Andrea Kahn describes urban sites as having “multiple boundary conditions and multiple scales” (Kahn, 2005). Contrasting the Palmanouva plan of 1783 with a sixteenth-century sketch of Milan by Leonardo da Vinci, Kahn depicts two ways of understanding, constructing, and representing site: 1) as a fixed and rigidly bound place, and 2) as an active, unbounded, and porous set of overlapping relations. Whereas the former is geographic and locational, the latter is systemic and dynamic. Taken together, architects and urban designers can engage a fuller and more operative construction of “site,” contextualising unbounded flows and networks within specific geographic boundaries and/or vice versa. ...as these local subjects engage in the social activities of production, representation, and reproduction (as in the work of culture), they contribute, generally unwittingly, to the creation of contexts that might exceed the existing material and conceptual boundaries of the neighborhood (Appadurai, 1996). Transcending scale and geography, Appadurai theorises “locality” as a both a synchronic and diachronic construct in which “localization, quotidian interaction, and social scale are not always isomorphic” (Appadurai, 1996) but rather relational and transgenerational. Taken together, both Kahn’s operative definition of “site” and Appadurai’s anthropological theory of “locality” (two conceptions that architects and urban designers might consider to be an expanded definition of “place”) provide a foundation for design practices concerned with engaging the complexities of developing world cities. For in order to engage these cities intelligently and ecologically, architects and urban designers must construct “locality” by synthesising, conceptualising, and spatialising their static and kinetic identities within their “glocal” matrix in order to construct sites (systemic and/or geographic) and programmes for transdisciplinary and multi-scalar design action. A complex and uniquely twenty-first century design problem, this requires new forms of expanded critical practices, practices that aren’t afraid to engage critically on the ground, practices that question the passive pragmatism of the post-critical. In the late 1990s, architectural culture began to feel the effects of a “post-critical” turn in its social and philosophical underpinnings. Nearly a decade and a half into the 21st century, so-called “post-critical” theorists have pronounced the end of architecture’s “critical project.” But, as with any paradigm shift, there is more danger in misconstruing the shift than in the shift itself. To be sure, architectural post-criticality is not, as is often and mistakenly thought, anti-critical but—and perhaps paradoxically—critical of particular kind of criticality, namely, the kind that was so obsessed with the failures of Modernism (real and/or perceived) that it turned on itself, retreating so deep into its own disciplinarity that it lost its ability (and its desire) to affect intentional, meaningful change in the city. Known as architecture’s Autonomy Project, this strand of Marxian neo-avant garde critical practice, the post-critics claim, has lost ground; it has become intellectually and programmatically exhausted. But if post-criticality risks superficial engagement with the city, to misconstrue it as anti-criticality only exacerbates the problem. For while the retrospective, narrow, and exclusive critical project of the 1970s is indeed exhausted, the rapid urbanisation of developing world cities command a revived critical agenda that is at once expansive and flexible enough to engage their “glocal” matrix, yet grounded enough in its own disciplinarity to operate rigorously in the face of overwhelming economic, political, and environmental crisis. In other words, while architecture and urban design must not be afraid to engage, it must also not be afraid to negate or critique productively; that is, it must be critical not merely as an end in itself but as a will toward intelligent design action capable of (or at least with the desire for) producing positive social and urban change. If not, we are simply left with “just another way of doing things, and little or no formal, ethical, or intellectual guidance to help us choose a path” (Gamez and Rodgers, 2008). The postcritical is not pragmatic; it is symptomatic. It is symptomatic of a profession that has benefited from an economy that limps ever forward. It is symptomatic of an academy that has been seduced by fashionable theoretical projects, only to reproduce them in bastardized form. Not only have American architectural efforts in the last fifty years been largely aesthetic exercises, but they also have flirted only briefly with the political—and then only in symbolic form (Gamez and Rodgers, 2008). If Modernism stands accused of merely (an)aestheticising true social change and industrial progress within a “form follows function” trope, and the neo-avant garde’s self-referential Autonomy Project merely (an)aestheticised architecture for its own sake as form follows form, then post-critical architecture and urban design risks merely (an)aestheticising true pragmatism within a form follows profit logic of uncontrolled market capitalism. To clarify, the problem is not engaging market forces but rather blindly submitting to any capitalist agenda that subverts any tendency for architecture and urban design to operate critically within the expanded contextual field of the city—masking deep socio-cultural, political, and global environmental crisis behind a shallow façade of profitable cliché. Accepting the corporate marketing of “sustainable” and “green” design as a truly “critical” response to ecological crisis is a case in point. While increasingly profitable in the developed world, shallow market-driven “green” design falls radically short of addressing the rapidly urbanising, poverty stricken, and environmentally damaged cities of the developing world. In order to truly engage these emerging urbanisms sustainably, expanded critical practices must operate eco-logically; that is, they must develop tools and strategies for designing both physical and nonphysical objects (forms and relations as well as the forms of relations). Doing so requires a paradigmatic shift in their terms and territories of engagement—namely, the definition of architecture and its relationship to building and city—in order to establish conceptual and ecological frameworks for productively critical agendas that look deeply “at the way things are in terms of what they could or should be” (Gamez and Rodgers, 2008). Whereas architecture and building are often accepted synonymously as things (building as architecture), they may more productively serve as epistemological frames and platforms that enable strategic intervention into a constellation of urban (and/or socio-cultural, political, and environmental) systems. In other words, rather than see them strictly as nouns, we might also think of them (or think through them) as verbs. For example, building—commonly defined as a built product—is also the process of constructing, or the methodical act of assemblage and the systematic fitting of parts. It is both means and end; process and product. The “parts” that architects and urban designers “fit” together compose the physical and non-physical systems that structure and (in/de)form urban fabrics, issues, and conditions as well as the formulated questions and constructed arguments framed against them. Architecture, on the other hand, is the methodically composed organisational structure of those systems and objects against which architects and urban designers operate constructively; that is, an ecology of things. To architect, then, is to build things and (their) relations intentionally and methodically. Because cities are composed (physically and non-physically) of various overlapping and intertwining architecture(s), expanded critical practices must strategise ways of building within the architecture(s) of the city while resisting a total submission to those same systems—productively oscillating between reflexive engagement and strategic negation. Given these definitions, a productive criticality does not accept a simplistic theory/practice split. Rather, it lodges itself in-between the ideal and the actual, actively measuring the way conditions are against what they could, should, or should not be in order to exploit opportunities to impact community and initiate change. It diagnoses mere symptomatic facts in order to uncover deep underlying causes. Economic markets, for example, provide profit opportunities precisely because they operate imperfectly; that is, they rely on internal crises to reinvent themselves and satiate the desires of the masses (for new product, new services, etc.). If leveraged, expanded and productively critical design practices can use capitalism against itself opportunistically, strategically triggering the very crisis it needs to survive. In “The Next Industrial Revolution,” for example, Paul Hawken, Amory Lovins, and L. Hunter Lovins argue for a “new type of industrialism” that would synergise natural, social, and market ecologies (Hawken, Lovins and Lovins, 2008). Because limitless economic growth is limited by natural resource abuse and depletion, a second Industrial Revolution (i.e. a new modernity) provides opportunities to simultaneously leverage and redesign conventional capitalism into a “natural capitalism” that is both profitable and ethical, a new capitalism that, while perhaps still self-serving, at least recognises human and nature as equally valuable resources on par with financial and material capital. Without nature, Lovins argues, there is no life. And without life, there is no economy (Hawken, Lovins and Lovins, 2008). Healthy economic, environmental, and social development—particularly of the developing world—depends on critically engaging both market and environmental architecture(s). An example of such engagement can seen in Mumbai:SHIFT - a speculative urban design project that explores possibilities for dynamic urban development.1 The project uses Mumbai’s privately owned and underused Eastern Waterfront as the site for a paradigmatic shift of current unsustainable development practices. It is grounded in three specific urban conditions: 1) a lack of East-West urban transit connections triggered by inequalities in urban development that favor north-south expansion, 2) a lack of public open space and, 3) the projected population growth (from 19 million in 2005 to 28 million by 2020) on Mumbai’s already saturated and dilapidated urban/social fabric. These concerns intertwine at multiple scales to provide opportunities for new models of dynamic urban development that leverage existing policies (specifically, the transfer of development rights or TDR) toward both social and market inclusion. Figure 4: TDR transfer strategy. As transit connections physically link the Eastern Waterfront with the inner city, a development linkage policy links them financially and programmatically, triggering a development ecology that is both social and marketdriven. Drawn by author in collaboration with Travis M. Bunt, Manas Vanwari, and Nidhi Bhatnagar, 2010. Figure 5: Eastern Waterfront development scenario with linkages. Drawn and rendered by author in collaboration with Travis M. Bunt, Manas Vanwari, and Nidhi Bhatnagar, 2010. The vast, complex, and interconnecting architecture(s) of developing world cities offer a plethora of opportunities for critical engagement at multiple scales. From grassroots activism, educational agendas (including pedagogical practices), informal economies and local politics to top-down political, economic, and environmental policy, twenty-first century architects and urban designers must strategise new forms of ecological thinking and practice in order to engage the expanded territories of these emerging urbanisms. The emerging urbanisms of the developing world, materialised through rapid population growth and urban poverty, are triggering hybrid forms of modernity in tension between established local traditions and the global flows and programmes of modernisation. As with previous periods of modernisation, the unprecedented changes in the socio-cultural, economic, political, and environmental systems of developing world cities require rethinking normative design practice. In an interconnected and globalised world, architects and urban designers must engage new forms of expanded critical practices capable of synthesising, conceptualising, and spatialising the multiple ecologies of these emerging urbanisms at multiple scales. In engaging these urban challenges, we must theorise new forms of architectural and urban design practices that move beyond the tired tropes of Modernism, the resistant Post-Modern Autonomy project, and the overly permissive pragmatism (little ‘p’) of post-criticality. Engaging these urbanisms ecologically requires a revived and productive critical agenda - one that is hesitant to sit comfortably on either side of the political centre, is radically open toward yet cautious of the physical and non-physical forces at play, and is equally concerned with both the physical objects and systemic relations of the city. Such an agenda positions the designer ‘not as the critic who debunks, but one who assembles’, (Graafland, 2010, p.409) positing criticality as a form of inquiry aimed at exploiting opportunities to leverage urban systems and tectonics. Expanded critical practices mine opportunities to strategically build within the architecture(s) of the city. The developing world, and the architects and urban designers engaging their cities, can learn from both the successes and failures of western industrialisation and modernisation. In turn, the lessons learned will inform architectural and urban practices concerned with western cities. Indeed, the best thing about engaging the ‘other’ is learning to engage your home. Written for The Journal of Space Syntax, 4:2 (2013). Click here for PDF. Appadurai, Arjun. (1996), ‘The Production of Locality’. In: Modernity at Large: Cultural Dimensions of Globalization, Minnesota: The University of Minnesota Press, p.184. Banerjee, Tridib., Pizarro, Rafael, E., Wei, Liang. (2003), ‘Agencies of Globalization and Third World Urban Form: A Review’. In: Journal of Planning Literature 18:111. Davis, Mike. (2006), ‘The Urban Climacteric’. In: Planet of Slum, London and New York: Verso, p.17. Gamez, Jose L.S., Rodgers, Susan. (2008), ‘An Architecture of Change’. In: Bell, Bryan., Wakeford, Katie, (eds. ), Expanding Architecture: Design as Activism, New York: Metropolis Books, p.21. Graafland, Arie. (2010), ‘On Criticality’. In: Sykes, Kristina A. (ed. ), Constructing a New Agenda: Architecture Theory 1993-2009, New York: Princeton Architectural Press, p.409. Hawken, Paul., Lovins, Amory., Lovins, Hunter, L. (2008), Natural Capitalism: Creating the Next Industrial Revolution, New York: Back Bay Books. Kahn, Andrea. (2005), ‘Defining Urban Site’. In: Burns, Carol, J., Kahn, Andrea, (eds. ), Site Matters, New York: Routledge, p.282. Lee, Raymond L.M. (2005), ‘Bauman, Liquid Modernity and Dilemmas of Development’. In: Thesis Eleven 83:6, p. 61-67. Mehrotra, Rahul. (2008), ‘Negotiating the Static and Kinetic Cities: The Emergent Urbanism of Mumbai’. In: Huysen, Andreas, (ed. ), Other Cities, Other Worlds: Urban Imaginaries in a Globalizing Age, Durham: Duke University Press, p.205-206. Ponting, Clive. (1991), ‘Creating the Third World’. In: A Green History of the World: The Environment and the Collapse of Great Civilizations, New York: St. Martin’s Press. Shiva, Vandana. (1998), ‘Resources’. In: Sachs, Wolfgang, (ed. ), The Development Dictionary, New Delhi: Orient Longman LTD, p.277. Taylor, Mark C. (2001), ‘From Grid to Network,. In: The Moment of Complexity: Emerging Network Culture, Chicago: University of Chicago Press, p.28. UN-HABITAT. (2003), The Challenge of Slums: Global Report on Human Settlement, London: Earthscan Publications.